^ Elmer L. Towns (1 January 2000). "The Ten Greatest Revivals Ever: from Pentecost to the Present". Liberty University. Retrieved 2011-03-13. Years later, Nee To-sheng, better known outside of China as Watchman Nee, was influenced by a single British missionary, Margaret E. Barber. In 1909, Barber had submitted to believer’s baptism and left her Anglican mission to become an independent faith worker. She conducted “breaking of bread” meetings similar to those of the Christian Brethren. Nee To-sheng organized the Little Flock, a Brethren-style indigenous Chinese denomination. The True Jesus Church and Little Flock soon had more adherents than all other mission-sponsored churches combined. Stokes, George T. (Oct 1885). "John Nelson Darby". The Contemporary Review: 537–552. Stunt, Timothy (2004). 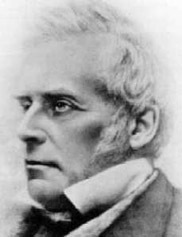 "John Nelson Darby". Oxford Dictionary of National Biography. Retrieved 2013-12-18. (Subscription required (help)).